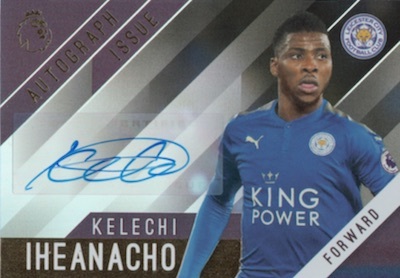 Visiting key EPL stars for another season, 2017-18 Topps Premier League Gold overhauls the design and guarantees two autographs per hobby box. Although dropping a hit compared to 2016, only one signed card was promised in the '16-17 set, and the other two could either be relics or autographs. As far as 2017-18, the hobby SRP checks in at $120 per box ($5 per pack). Immediately clear, collectors are treated to a new design for the Premier Gold base set. 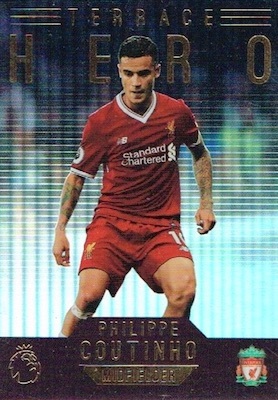 However, it's not just the 150 standard cards to collect, as short-printed parallels include Green (1:4 packs), Red (1:8 packs) and Yellow (1:12 packs). 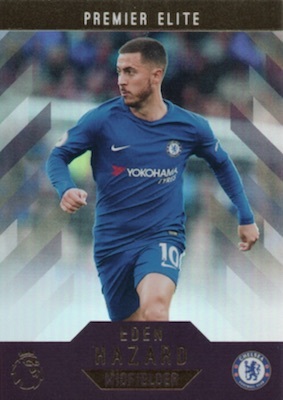 There are also several foil inserts in the 2017-18 Topps Premier League Gold checklist. 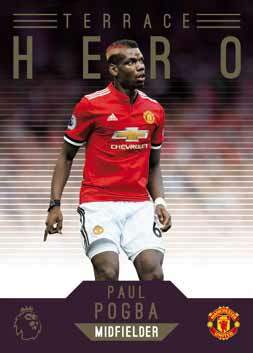 Terrace Hero (1:4 packs) goes with the fan favorites, while Team Leader (1:4 packs) highlights all 20 club captains, and Premier Elite (1:4 packs) tackles 10 of the very best players of the year. Parallels for each set include Green (#/100), Red (#/25) and Yellow (1/1). 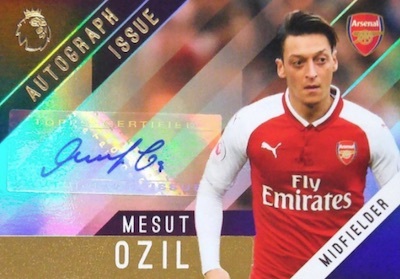 Dropping two per box, the 2017-18 Topps Premier League Gold Autograph set allows fans to add top EPL signatures to their collections. 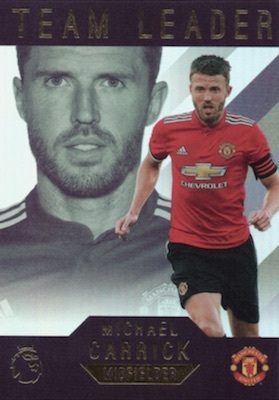 Signers include Dele Alli, Gary Cahill, Joe Hart and Michael Carrick. In addition to the base autographs, there are Green (#/50), Red (#/25) and Yellow (1/1) parallels. Release Date (US): 03/23/2018; UK Release - February. PARALLEL CARDS: Green (1:4 packs), Red (1:8 packs), Yellow (1:12 packs). PARALLEL CARDS: Green #/100, Red #/25, Yellow 1/1. PARALLEL CARDS: Green #/50, Red #/25, Yellow 1/1. Good: Foil inserts are fairly striking; good mix of parallels and inserts per box. 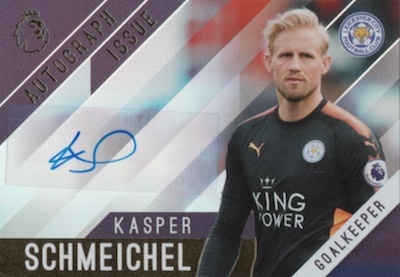 Bad: Autograph checklist is not very strong; base design is a little too busy. 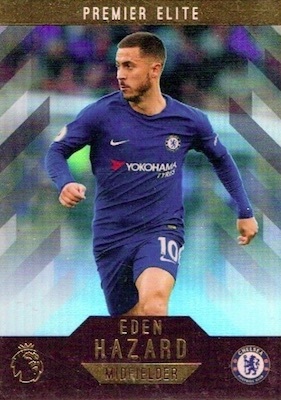 The Bottom Line: Completely moving away from its more premium roots, 2017-18 Topps Premier League Gold is a mid-level soccer release further limited by a below average signers list. Even with two guaranteed autographs per box, the small checklist does not offer very much excitement. 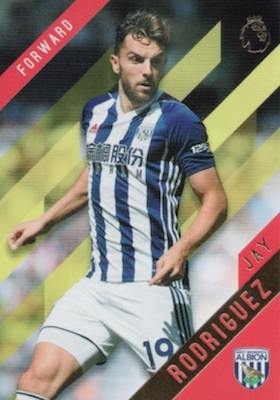 I still think of Premier League Gold as an ornate brand but the base design feels more low-end. The diagonal striping dominates the focus and I don't much care for the look. I enjoyed the inserts more, though, and appreciated the solid number per box, as there are only three insert lines. While none stood out, each insert design offered a little of something that was different, and provided the quality that the base set was lacking. Autographs, of course, were stickers. 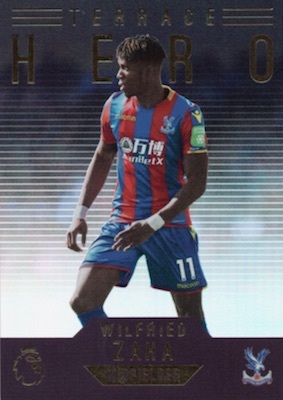 The horizontal foil design felt more generic, especially since all backs are identical. Since there is no specific place in the design for the sticker autograph, it feels more forced and the autograph is more likely to appear crooked. 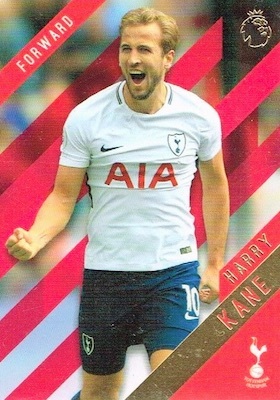 The 2017-18 Topps Premier League Gold checklist is interesting because the entire lineup, except for the autographs, is numbered into one main set. 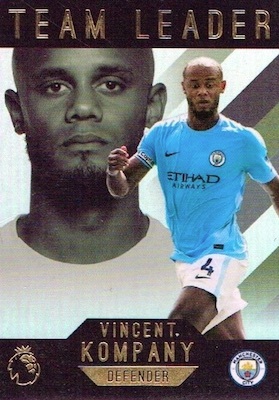 Base cards are grouped by team, with several players for each club, from 1 to 150, followed by the three inserts that push the card numbering up to 200. I don't have strong feelings about this, but it just caught my attention. Honestly, it makes the whole product feel even smaller. For the autographs, there are a total of 20 signers. While there are some solid names like De Bruyne, Ozil and Alli, the checklist lacks the star power you find in many other soccer releases. However, Ben Woodburn is a promising young talent with an autograph. 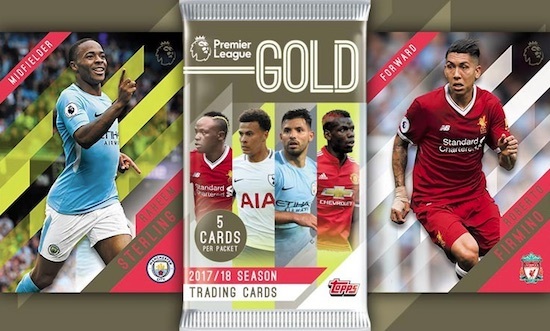 Selling for roughly $80-90 per box at the time of this review, the value for 2017-18 Topps Premier League Gold is not great. Sure, you get two autographs, but other than a low-numbered insert parallel, there is little else to help value. Unless you beat the odds and hit a rare autograph or one of the few bigger names, you're not coming anywhere close to getting what you paid. Although a little underwhelming, I still mostly enjoyed the overall experience mainly due to the inserts and the autographs in the box. Ideally, though, the hits would not have both been for Leicester City. 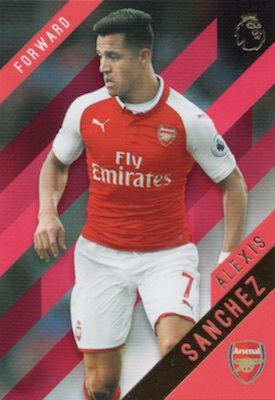 It's fine that Topps is pushing Gold more to the low-end but the pricing should better reflect that. I also hope for a better base design next time and an improved autograph checklist. Auto checklist is about as bad as it gets. This stuff should be $20/box.